Brown, the author of three No.1 New York Times bestsellers—Daring Greatly, The Gifts of Imperfection, and Rising Strong—began her work at the GCSW in 2002, researching vulnerability, courage, shame and worthiness. Her appearances in TED and TEDx talks, created a global conversation around the topics addressed in her groundbreaking research. Currently her research focuses on the role courage plays in leadership and culture change. Brown also is the founder and CEO of The Daring Way, a training program for helping professionals, and CourageWORKS, an online learning community developed to provide accessible learning, grounded in her research to a global audience. Brown is a UH alum, earning a master’s degree and doctorate in social work from the GCSW. She received her bachelor’s degree in Social Work at The University of Texas at Austin. 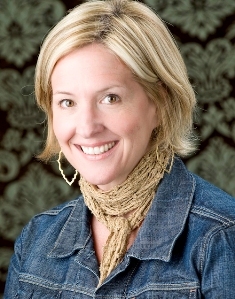 The Huffington Foundation Endowed Chair will provide the annual resources for Brown’s research to attract world-class students pursuing training in Grounded Theory methodology and multiply the impact of her work as a greater number of students are trained in her groundbreaking research on vulnerability, shame, courage and worthiness.